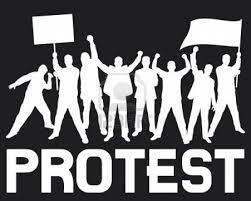 College and school students of Islamabad Wednesday protested against authorities’ failure to vacate nearly a dozen educational institutions from police. Students of the closed colleges gathered outside their institutions and staged protest against the government move. They chanted slogans against Islamabad authorities and called for early reopening of colleges. “This closure is severely affecting our education. The government is responsible for this,” a female student among the protestors said. They chanted slogans of “Go Police Go” from the educational institutions. Other students said that they would continue their protests till their college and school buildings were vacated. They said they have suffered for one and a half months and would not tolerate the wastage of their time any more. The students appealed the civil society and parents to join their protest. On Friday, the Islamabad High Court (IHC) directed the Islamabad Capital Territory (ICT) administration to get schools vacated from cops till September 23 and submit report in this regard. However, the Islamabad administration has failed to obey the orders and only promised that the educational institutions would be vacated in the next couple of days. According to reports, the police reoccupied five education institutions, a day after vacating the buildings. Eleven out of 19 schools and colleges are still occupied by police. Thousands of police personnel have been called in Islamabad from across the Punjab and Kashmir to perform security duties in the federal capital and housed in educational institutions to deal with protestors of PTI and PAT.